Two very entertaining thriller/mysteries by an author you’ve probably never heard of translated here by J. Keith Vincent. Both stories, “The Devil’s Disciple” and the novella length “Did He Kill Them” are really psychological studies as much as noir detective thrillers. In both, the “killer” has already been caught so there’s not that much of investigating to be done. However, in each the confession is highly suspect. There is much more going on than first meets the eye. They are each interesting as mystery/thrillers and for the portrait they present of 1930’s Japan when they were written. 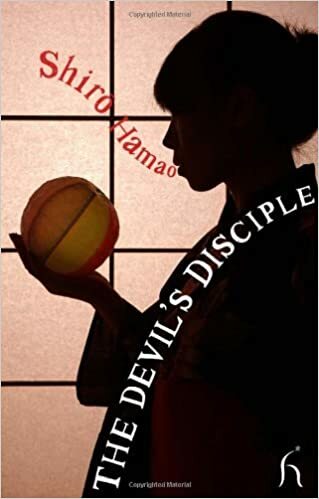 They are not a happy, fantasy, Japan; there is murder in both stories so we are entering dark territory not suitable for tourists, but the look inside the Japanese justice system of the day and the glimpse of Japanese society’s more sensationalist side made for interesting reading. I enjoyed both stories, in fact I hope to find more of Shiro Hamao’s 17 novellas and three novels translated into English.